This picture shows the floor of a flooded volcano crater in Iceland called Kleifarvatn. The yellow comes from sulphur deposits generated from geothermal activity. 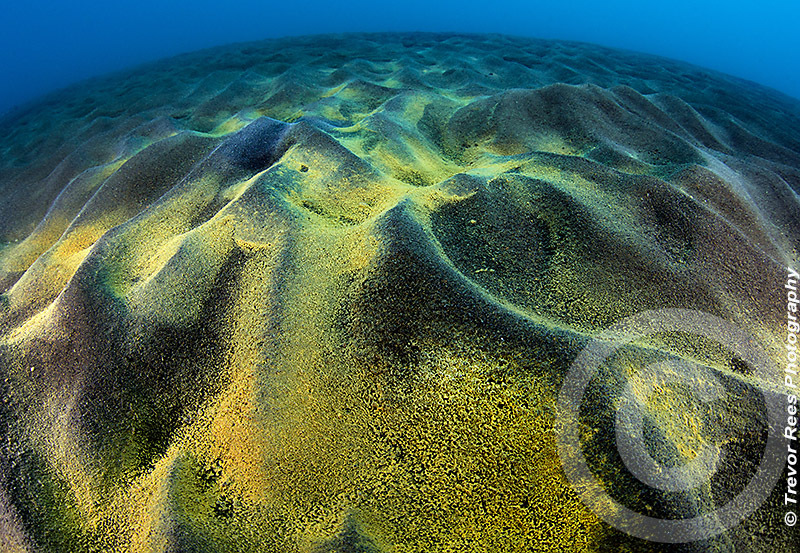 This image was placed 3rd in the British Society of Underwater Photograpphers (BSoUP) 2015 Abstract category competition.